Blotch mine in leaflet of Poison Ivy (Toxicodendron radicans) in upland bur oak-shagbark hickory forest. Mine visible only on upper surface. Moved from ID Request. Yes, good match, good call! 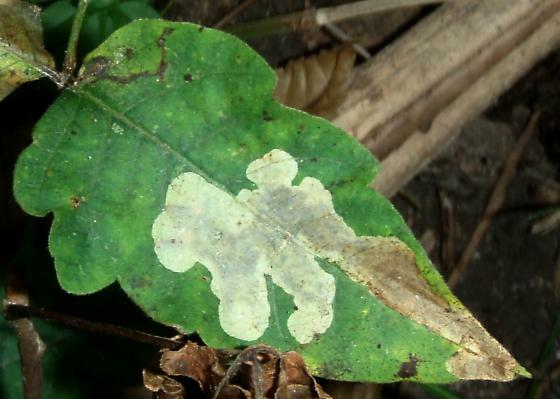 The leaf mine caused by this species in poison ivy also appears in the photograph on page 349 in Eiseman and Charney (1). Especially check out the comments on the images (there are only three images) which could point to information that can finalize the ID.